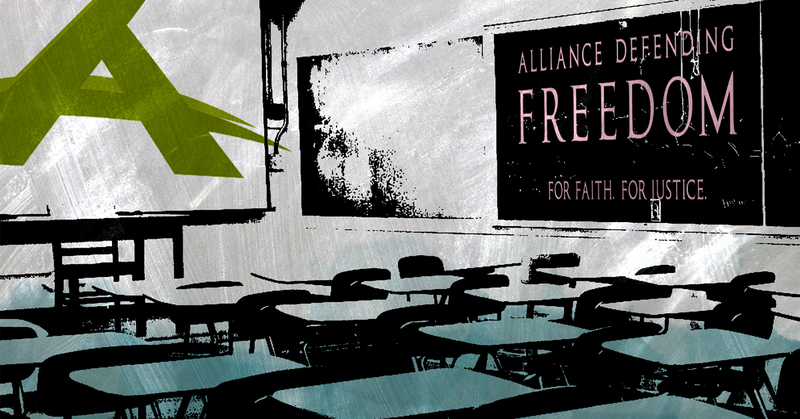 A recent Vice report detailed Alliance Defending Freedom’s (ADF) stealth years-long effort to chip away at the separation of church and state in public schools and take away the rights of LGBTQ students. Most recently, as Vice reported, ADF was a “major force” behind the Trinity Lutheran Church v. Comer case in which the Supreme Court ruled that the state of Missouri violated the church’s First Amendment rights by denying it access to government grants meant for secular use. Trinity v. Comer was viewed as a “major First Amendment decision” in terms of the separation of church and state. Media Matters identified ADF as the anti-LGBTQ hate group leading the national campaign against transgender students in November 2015. Since then, ADF has kept up its assault on the rights of transgender students to access a fair and equal education: It has drafted a model policy to deny transgender students equal protection in school, repeatedly sent representatives to testify at school board meetings to advocate against protecting transgender students, and even sued school districts for implementing transgender-inclusive policies. Why has the organization dedicated so much attention to schools in recent years? According to [Angelo] Carusone at Media Matters, maintaining control of the country's education system is part of ADF's long view of the fight to control public policy. That the ADF has taken such an active role in manipulating educational policy has not gone unnoticed by LGBTQ organizations. Recently, a coalition of LGBTQ advocacy groups launched a campaign called “Eliminate Hate,” dedicated to exposing ADF interference in school districts and bringing attention to other anti-LGBTQ hate groups. Besides media outreach, coalition partners are also placing op-eds in major news outlets, and working to connect supportive parents with school officials so that their voices can't be ignored. But it’s going to be difficult to counter the ADF’s vast legal and financial resources, particularly now that they've been successful in the Trinity case. With a sympathetic administration in the White House, it’ll be easier than ever for states to reduce funding for public schools and increase funding for discriminatory private schools.